ORANJESTAD – “The problem at InselAir is its maintenance schedule. They have put themselves in a corner, where all its aircrafts were simultaneously due for major overhauls.” This is according to the Canadian aircraft expert Bryce Fisher. 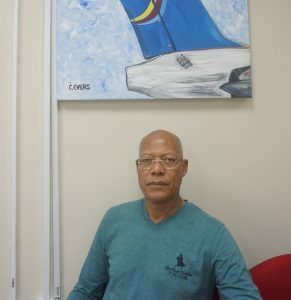 He has been hired to design enforcement programs for Curaçao’s Aviation Authority CCAA. 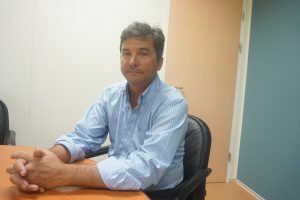 However, Fisher said the airline’s maintenance department is “working good and the aircrafts registered on Curaçao are safe.” The Aruba Aviation Authority has yet to presents its findings on the matter. “The maintenance department is now being evaluated,” said Aruba Aviation Inspection Director Edwin Kelly. The maintenance department has once again been discredited. It has been insinuated that the head of this department has been fired. InselAir denies this. Bryce fisher of the CCAA. The Curaçao’s Transportation Minister Suzy Camelia- Römer suspended two aircraft inspectors on Monday. This was decided based on rumors of under the table dealings with certain aircraft parts suppliers. CCAA said this was a decision instructed by the ministry and not by Curaçao’s Aviation Authority. Heerenveen is keen on finding out the “real” reason for the decision taking by the Aruban Avaition Authority. He was referring to the decision taken last month to ground all Aruban InselAir aircrafts.